Purslane - Underappreciated Plants & "Weeds"
"He's so ready, he's doing a video about a WEED!" So, the location of growth is a true factor in the label of weed. Sadly, many plants get labeled as weeds regardless of where they grow. Many plants have acquired the label, "Weed" or "Invasive" that are actually quite beneficial; especially in our population that loves a manicured lawn or weed free fields. Purslane is a "weed" that actually has many nutritional benefits and is a good source of heart healthy Omega-3 fatty acids, somewhat rare in plants. It can be used in stews as a thickening agent, and as a topical ointment similar to aloe vera. Abstract: "...Portulacanones A-D is the first group of homoisoflavonoids so far reported from the family Portulacaceae. They represent a rare subclass of homoisoflavonoids in nature with a structural feature of a single hydroxyl group substituted at C-2' rather than at C-4' in ring B of the skeleton. Three homoisoflavonoids and the known compound 2,2'-dihydroxy-4',6'-dimethoxychalcone selectively showed in vitro cytotoxic activities towards four human cancer cell lines..."
I encourage you to plant or leave some underappreciated plants here and there in your landscapes. If they are in a spot on purpose, they are no longer a "weed." Show others their subtle beauty and share the knowledge of their benefits. You might even have the opportunity to share them with guests in a meal. 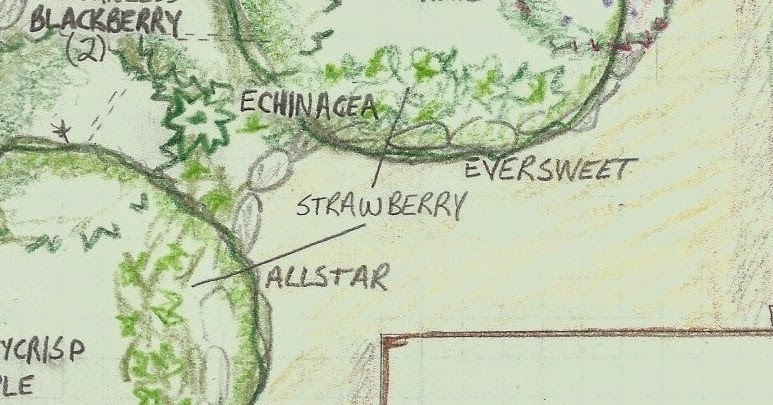 If you would like help with an edible and sustainable landscape, with a few surprises hidden in, contact me and I will help you get started, with a design or even a full installation and maintenance plan. Don't forget the Seed Exchange is this coming weekend! Have great week! On February 16th the US will celebrate President's Day. It is also the birthday of George Washington, our first President under our current Constitution. Our first four Presidents were passionate botanists. Washington and Thomas Jefferson, our third President, owned some of the largest and most famous estates in America, Mount Vernon and Monticello respectively. 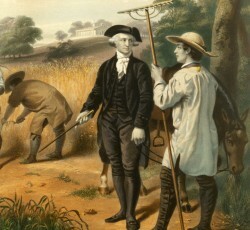 George Washington was a farmer and avid gardener, owning the 8000 acre Mount Vernon estate and farm. Click here for a Virtual Tour and much more. In addition to being an innovative farmer, Washington was an accomplished landscape designer drawing praises from Mount Vernon's visitors. He planned flower and kitchen gardens, parterres, as well as a greenhouse and small test garden where he kept various plants he was experimenting with. "...to be a cultivator of Land has been my favorite amusement" Washington wrote. John Adams was a very influential Founding Father. Earlier in his career he had worked for several Boston newspapers under the penname "Humphrey Ploughjogger," extolling the virtues of farm life and the cultivation of hemp. He (as well as Washington) was also interested in compost, and in his letters home he wrote recipes including seaweed, marsh mud, potash and manure, along with animal bedding straw and kitchen scraps. As the first President to live in the White House, he ordered the first planting of it's garden. As he was there for only four months the annual vegetable garden was all he had time to do. As a valued statesman his duties required him to be gone from home much of the time and much of the farm management was left to his wife, Abigail. 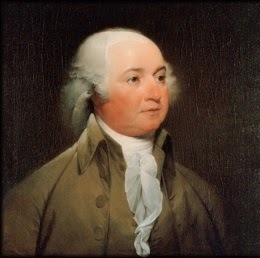 In 1801 at the end of his term as President, Adams now 66 returned to the home farm. He died 25 years later on the 50th anniversary of the signing of the Declaration of Independence. Thomas Jefferson wrote to artist Charles Wilson Peale, “No occupation is so delightful to me as the culture of the earth, and no comparable to that of the garden. I am still devoted to the garden. But though an old man, I am but a young gardener.” Although Jefferson redesigned the gardens on the White House grounds and planted hundreds of seedling trees, his true passion was Monticello. 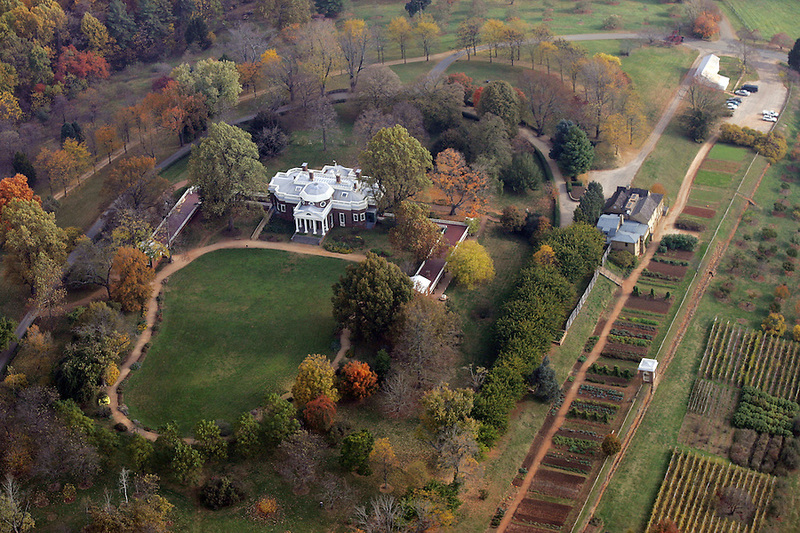 Monticello, Jefferson's masterpiece, was probably the grandest private garden and collection of plants in its time. Originally a tobacco plantation, the majority of its 5000 acres were transitioned to wheat as the markets changed. Its south facing slope maximizes solar aspect and terrace holds water and reduces erosion. The vegetable garden is 1,000 feet long and grew over 300 varieties of vegetables. Below, are six acres of nearly 170 different fruit varieties. He also planted groves for his "pet trees." Jefferson is buried at Monticello, dying only a few hours before his friend and fellow Founder John Adams. On James Madison's retirement from the Presidency (4th President), he returned to his estate, Montpelier, and championed sustainable farming practices and resource conservation. John Quincy Adams, John Adams's son and sixth president, implemented many of Jefferson's plans and personally planted many seedling trees including fruit trees, along with herbs and vegetables. 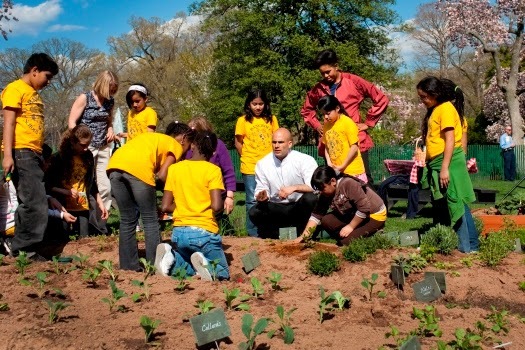 More recently, a Victory Garden was planted at the White House during World War II. The Clinton's had trouble convincing the White House of the need for a vegetable garden, so they planted a small garden on the roof. Our current President Barrack Obama and his wife, Michelle, have reinstituted the White House kitchen garden after years without. In addition to fruits, vegetables and herbs, the garden includes a bee hive and composting bins. Motivated by the lack of nutrition in the modern American diet of their daughters, a garden was an easy way to get more fruits and vegetables. It is also used to promote healthy eating and local food. The surplus is also shared with local charities. I wish you a happy President's Day, and however you celebrate, think of the rich botanical heritage the first four Presidents planted in the fertile soil of our new Republic, and the return of those interests in our current President and hopefully beyond! By the way, in honor of President's Day, national parks, wildlife refuges and other public lands are FREE! Or if you can't travel to one of these destinations, follow the links to learn more about Mount Vernon and Monticello, they are truly amazing! Each year thousands of people express their love on public lands. Here are a few of those special moments. Enjoy this Valentine's Day video from the Department of the Interior. Happy Valentine's Day from Abundant Design! With all of the decorations for Valentine's Day around I hope you'll be reminded that February is also Heart Month. Cardiovascular diseases are the number one killer for both men and women in America, more than 1 in 3 are affected. The good news is, even modest changes in lifestyle can provide significant benefits in your heart's health. To help raise money for their ongoing research, Abundant Design, LLC is donating $1000 off a landscaping project for the American Heart Association & American Stroke Association's Heart Ball auction. For more information about this event or how you can get involved follow the link. Tomatoes contain the antioxidant lycopene which helps maintain healthy cholesterol levels and are a main component of the Mediterranean diet, often touted as being very healthy with low incidences of heart disease. They are also high in potassium, which can help maintain healthy blood pressure. Tomatoes are probably the most commonly grown vegetable in home gardens, and their flavor puts store bought ones to shame. Last years weather was hard on mine, with the cool wet weather early in the year and my late night watering during the hotter and drier months contributed to a problem with bacterial speck. Watering earlier in the day can prevent this, so that water droplets on the fruit has a chance to evaporate. A good layer of mulch or grass clippings will stabilize soil moisture levels and prevent splitting of the fruit. Legumes such as beans, soy, and peas are an excellent source of protein without high amounts of unhealthy fat. One study found that people who ate legumes at least four times a week had a lower risk of heart disease. Legumes may also help control blood sugar for people with diabetes. These are easily grown, is loose fertile soil. Most legumes host nodule forming bacteria in their roots which boost nitrogen levels benefitting other plants nearby with a necessary nutrient. Many of these also have a perfect flower, meaning the seed can be dried and saved to plant the following year's crop. Potatoes are rich in potassium, like tomatoes, and fiber which can help maintain a healthy weight which helps your heart. Avoid frying them to prevent offsetting these benefits. Potatoes produce the biggest tubers in loose sandy soil. Here's a link to several ways to boost your potato yields. Fresh green vegetables, like spinach and broccoli, contain carotenoids that act as antioxidants neutralizing damaging free-radicals. Kale also contains some Omega-3 fatty acids, the "weed" purslane has even more, that may lower blood pressure and triglyceride levels. Blueberries, strawberries and cranberries contain anthocyanins, antioxidant flavonoids that may decrease blood pressure and dilate blood vessels. These plants are generally quite hardy once established, prefer mildly acidic soil and can provide years of fruit. Resveratrol, a compound found in red wine, is linked to many heart healthy benefits, but you can also get resveratrol from non-alcohol sources like grapes. Many vineyards have popped up in Iowa in the past dozen years or so. So this February make sure to treat your sweetheart on Valentine's Day, but also take time to make changes that will help your actual heart's health. And as always, if you would like help designing or an installation of edible and sustainable landscapes, contact Abundant Design. Ready for Spring Seed Exchange! I am so excited to bring to the area a community seed exchange! The foot of snow that just dumped on us reminds us that it is still winter, but Spring is coming! We will be starting seeds soon, maybe even on our new growing racks! What is a Seed Exchange? A seed (& plant) exchange is exactly what it sounds like—a forum for swapping out seeds and plants with fellow gardeners, or those aspiring to be. They allow gardeners to come together and share seeds, cuttings, and transplants from their own gardens to swap with others. They are a great way to get rid of some of your extra seeds and get something new to grow — all for free! It's also fun to chat with other gardeners, get some growing tips and build community. This event is for anyone who has seeds or wants seeds. Expert gardeners. Beginner gardeners. Aspiring gardeners. Seed-savers. You. If you don’t have any seeds to swap, still come! There should be plenty of seed to share with everyone as well as extra seeds available! There will even be Door Prizes!!! Share Tables - These tables will be where you can place seeds for others to browse and take as needed, and for you to take items to try. Everyone brings seeds to the swap and puts the seeds out on the large tables. These areas will be free-sharing for all. Barter Tables - These tables will be for your rarer items that you would trade if you got another more desired item. If someone has rare or expensive seeds, they may be more specific in what they will accept in trades, and you see if the person who brought them is interested in anything you brought. Most likely, people will just want to share their extra seeds, and they’ll let you take some even if they don't happen to need anything you brought. You can bring any kind* of seeds/plants to trade: flowers, vegetables, herbs, annuals, perennials, bulbs — it doesn't matter. You can bring seeds you've collected yourself or leftover seeds from packets you have purchased. Bring any extra seeds that are no more than two or three years old. Store-bought, mail-ordered or home-saved; all seeds* are welcome. If you are bringing seeds you saved yourself, please be sure they are from non-hybrid or knowledgeably hybridized plants, and were saved properly. You can bring the seeds in whatever packaging is easiest for you. If you can, make individual little seed packets for people to take. 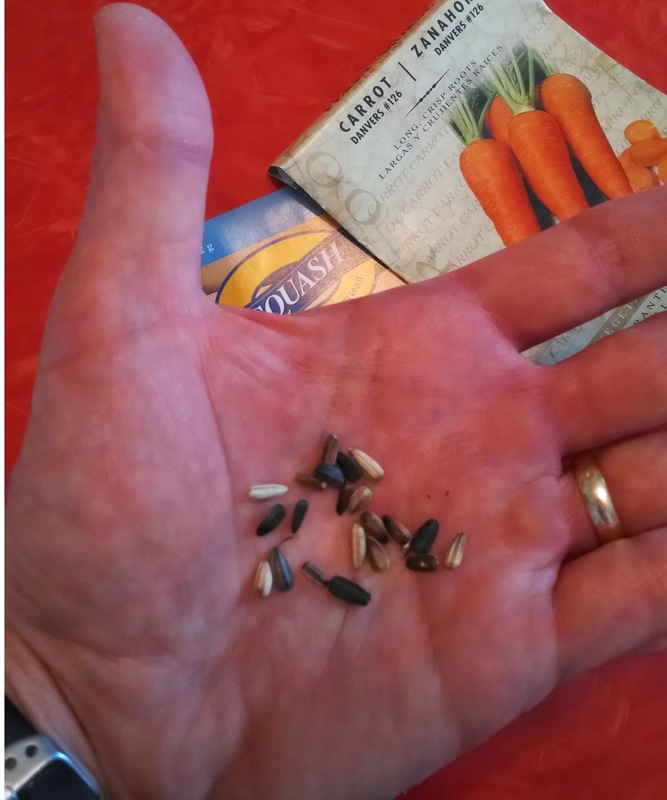 Please repackage large quantities of seeds into smaller envelopes or plastic baggies. 10-30 seeds are plenty. If you just want to bring your opened seed packet with leftover seeds in it, that's fine, too. If you bring seedlings make sure the plants are healthy and well cared for. 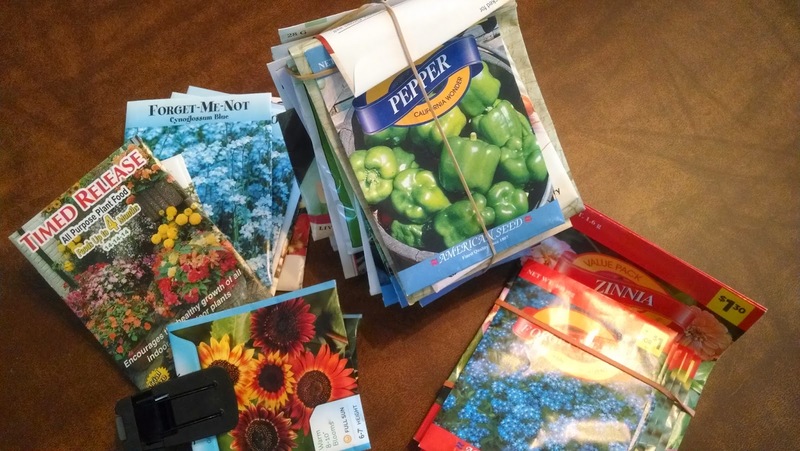 Please clearly label all seed packets and plants with the variety name, year and source plus any special instructions or notes (for example, "These seeds need to be soaked before planting" or "My great-grandmother brought these seeds from the Old Country"). You do not need to be a seed starting expert — people will gladly share growing tips! 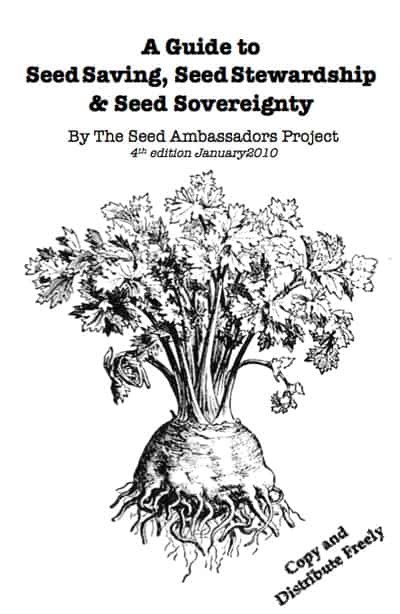 Here's a very thorough FREE download for more information on seed saving.